Monday again! Another week down and another week closer to reports needing to be written! I will get to them! This week's game can be played at anytime - all you need is something to write with! It is most suited to children in Grades 3 upwards as they continue to develop their mental maths skills. 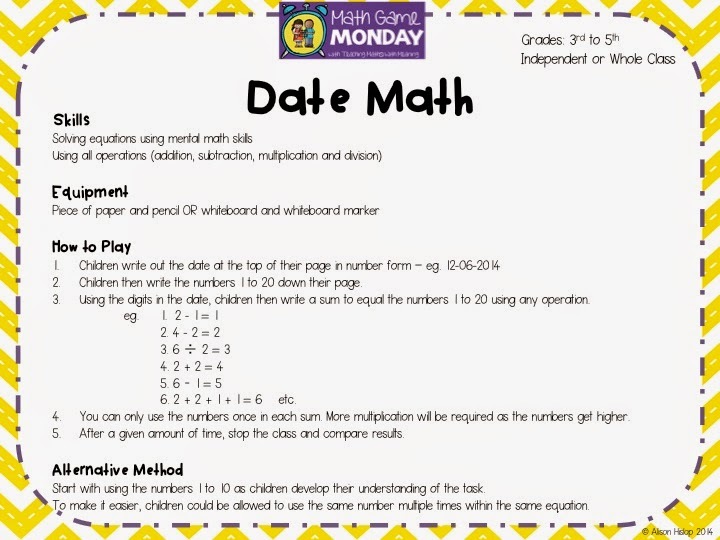 Like every week, if you want to check out past Math Game Mondays, click on the link at the top of the page.